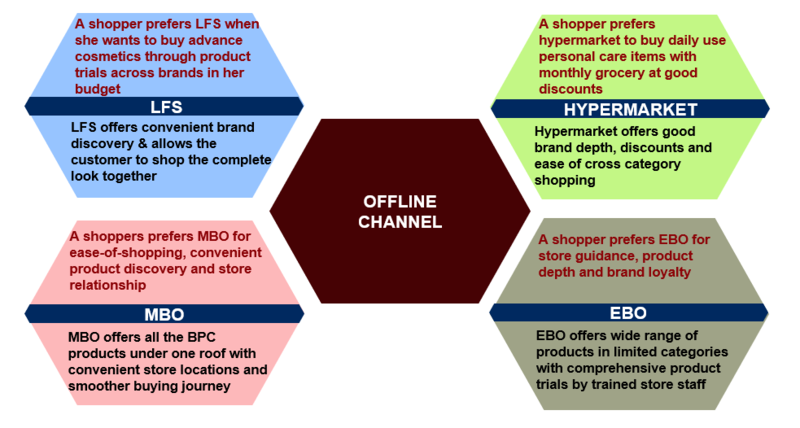 Customers prefer LFS for brand discovery, Hypermarket for cross category shopping and EBO for existing loyal brands. 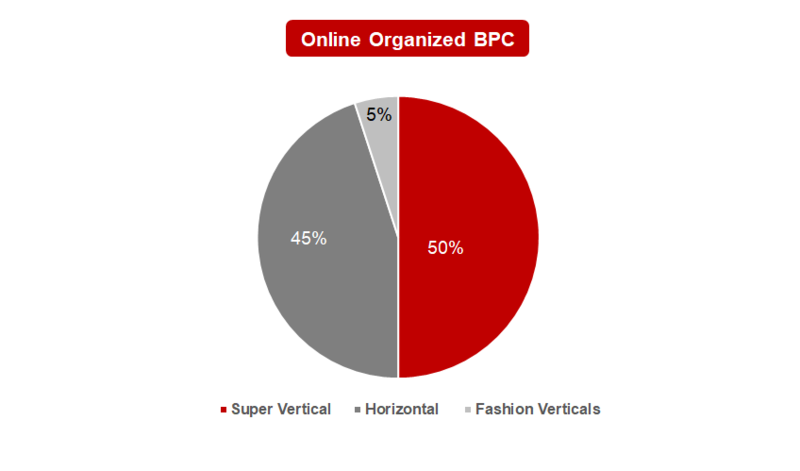 Customers prefer super verticals for premium range products, horizontal for cross category shopping with discounts and verticals for combine look shopping experience. What does 2019 have in store ? 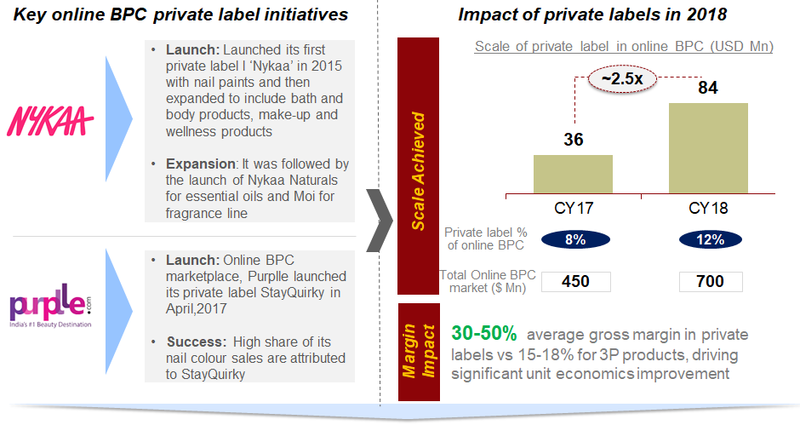 Private labels to continue growing and breach 15% share of overall market. Two big themes to be category wise expansion for smaller labels and widespread offline distribution for the proven and larger labels. 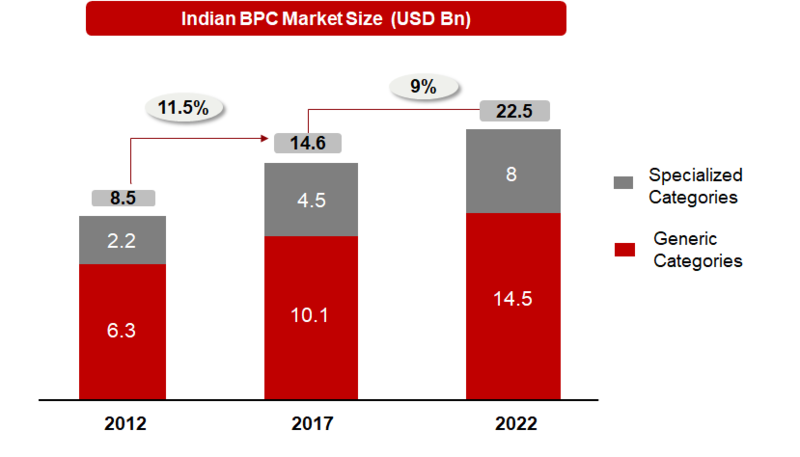 The online BPC market is currently a $450 mn market and is growing at ~100% CAGR. 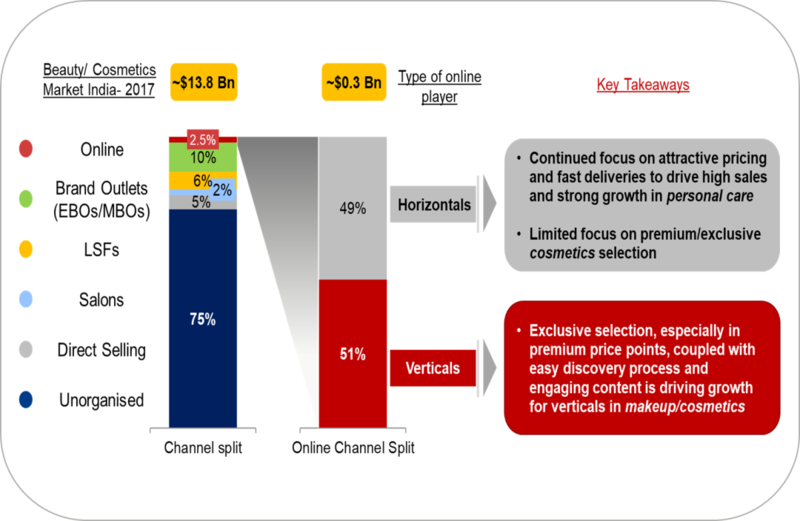 The industry is equally poised between horizontals and vertical players. Verticals like Nykaa, Purple etc. have been able to provide better assortment by offerings more international brands specially in the specialized category and are thus able to grow at a faster pace than the other players. 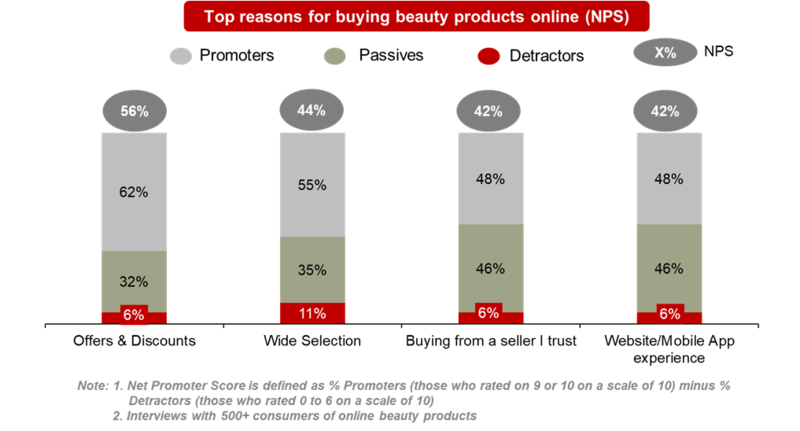 The key reasons for which consumers buy beauty products online are offers & discounts, wide selection, trust on the seller and web/app experience. Consumers in metros and T1 cities want a good web/app experience and availability of the top brands they seek. While those in T2+ cities give more importance to the trust on the seller and customer support. 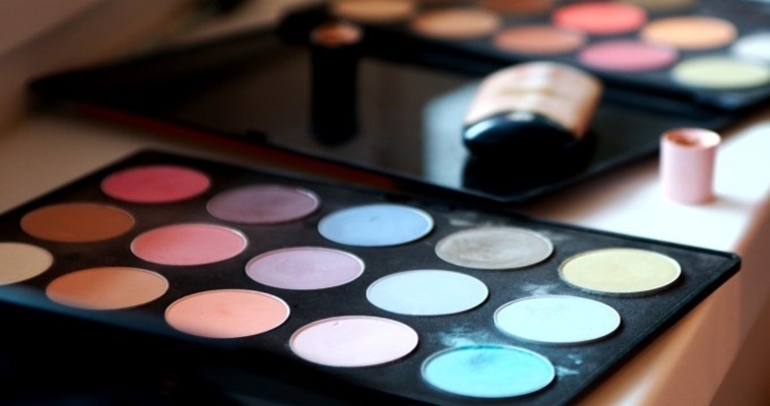 About 2/3rd of the consumers of beauty products know which brand and which product they want to buy. 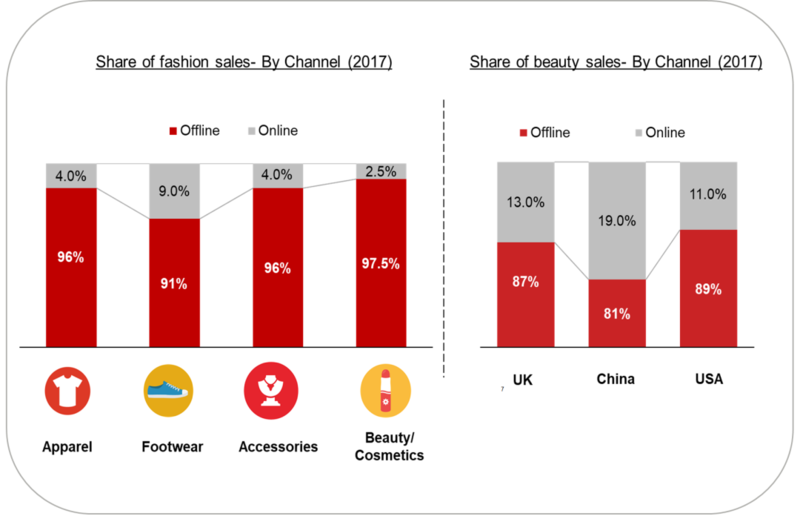 The online beauty players who able to bring in international/national brands and get them delivered to such consumers are hence seeing rapid adoption. 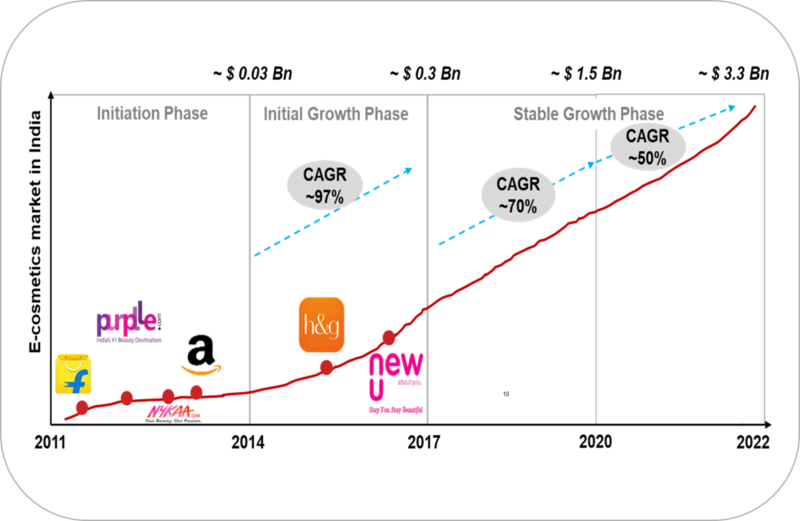 The online beauty market grew by 70% in the last one year and we expect it to continue the growth trajectory. 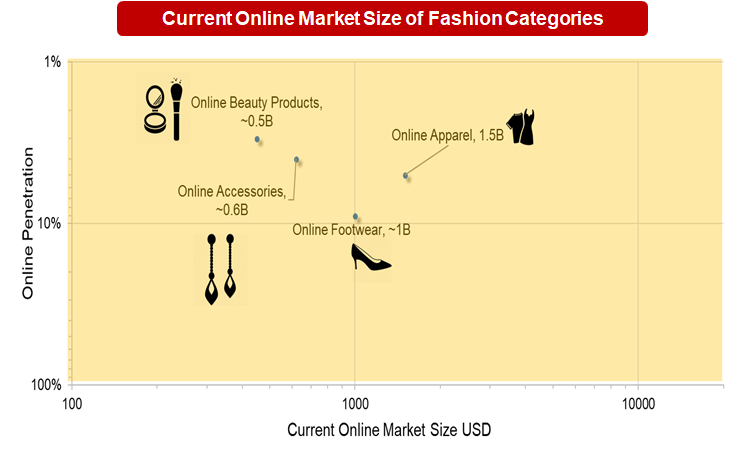 The online fashion in India is under penetrated with the online penetration of the sub-categories being less than 5%. 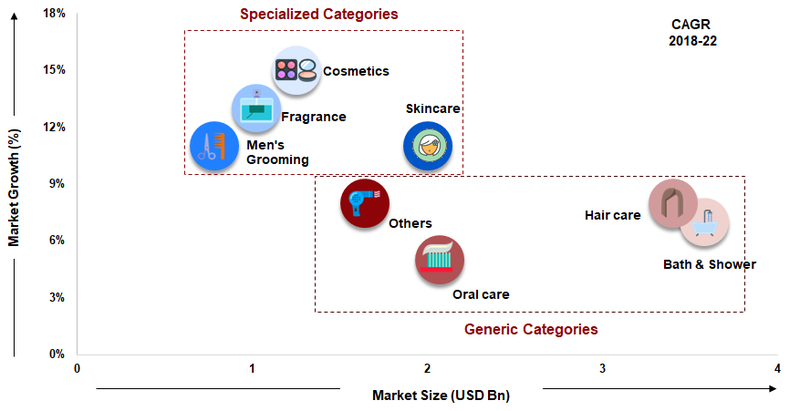 Online beauty products is the fastest growing sub-category with more than 70% annual growth rate. It is the only category where the verticals are out performing the horizontals. With the share of verticals being close to 55% this is one category where the verticals have proven their value to the consumers.